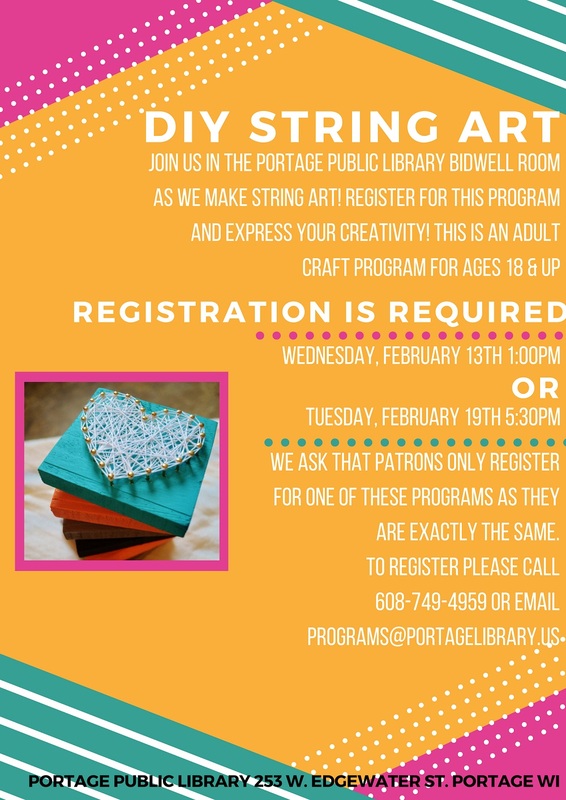 Join us in the Portage Public Library Bidwell room as we make string art! Register for this program and express your creativity! 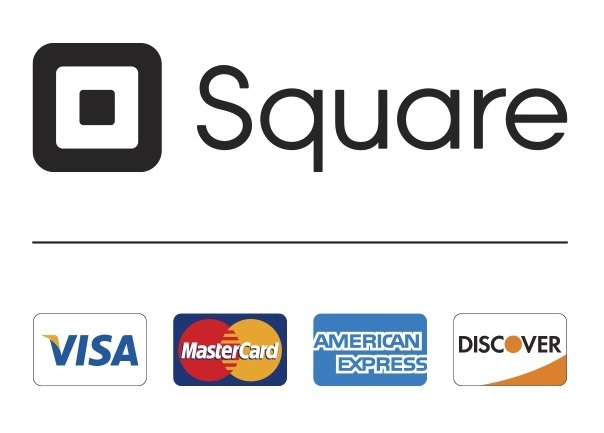 These will be held Wednesday, Feb. 13th at 1:00pm and Tuesday, Feb. 19th 5:30. Please only register for one of these crafts as both will be exactly the same! This is an adult craft program for ages 18 & up. Registration is required. To register please call 608-742-4959 or email programs@portagelibrary.us .